 Whether it’s in our backyard or in a remote location, Westwood delivers superior electrical and instrumentation services to the mining and potash industry. With extensive experience on both above and below-ground projects, we understand the unique risks and nuances of mining projects. We have underground-certified supervisors committed to your project’s success. Westwood promises and delivers safety, cost, quality and schedule excellence. Westwood was awarded the DeBeers Underground Diamond Mine Project. After months of preparation, Westwood mobilized to the remote Snap Lake site 220 km northeast of Yellowknife, North West Territories, Canada. 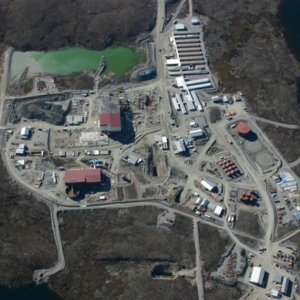 DeBeers Snap Lake is Canada’s first completely underground diamond mine. The approximate capital cost for the entire project is $975 million. 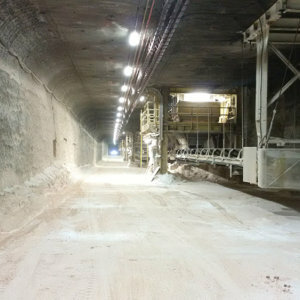 Westwood undertook a project on the Diavik Diamond Mines site near Yellowknife, Northwest Territories, Canada. The scope of the project consists of the installation of two (2) Finning 3.3MW diesel generators and all associated electrical controls, complete building services for a building that will eventually have a total of six (6) Finning generators for a total of 24.2 MW, install parallel bus tie feeders to existing powerhouse and complete tie-ins, install 15kV switchgear, power transformer, 600V PDC and MCC's, DCS and Finning engine control panels, install all required cable tray, complete required instrumentation, tubing calibration and cabling. Once this project was completed, Westwood was awarded numerous additional projects on this site. 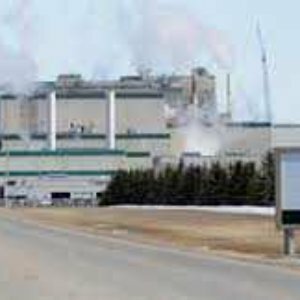 Westwood undertook the new construction of the Belle Plaine Compactor #2. The scope of work consisted of installation of the 5KV switchgear, installation of all 600V switchgear, cable tray, lighting, instrumentation, controls and terminations and stage 1 commissioning to start up. The first area was the 138kV Substation Yard & GIS Building which included all substation building electrical including lighting, control, HVAC, fire alarm, battery system, and distribution equipment. The scope also included the installation of the 138kV motor operated switch and aerial cabling to the GIS bushings, as well as the installation and field wiring of P&C panels and PLC panel. 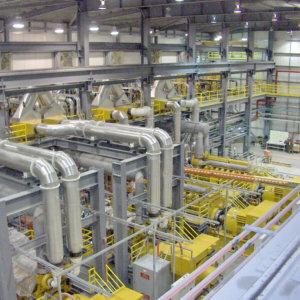 The second area was the 13.8kV Switchgear & Reactors which included the installation of 15kV feeders from secondary of T2 to new 15kV switchgear as well as the installation of new switchgear, Reactor #2, cable tray, 15kV splice point, PLC cabinet, and the connection of all required power and control cables. Westwood was contracted to supply and install new power distribution and networking equipment to a new control room and dismantle the old existing control room. Supply and install two circuit breakers in an MCC, 45kVA 600-208/120 volt transformer, 10kVA UPS with Manual and Bypass transfer switches. Supply and install one 208/120 volt distribution and one emergency panel. Supply and install the new operator console furniture and the owner supplied computers, printers, HMI/PC network cabinet, telephones and two way radio charging station.Supply and install the required cable trays and all required power, networking, fiber and copper patch cables to the control equipment.Supply,install and verify the fire alarm devices. Dismantle all control equipment and power no longer required in the old control room. This schedule only allowed for an eight hour shutdown to swing over the various networks and controls to the new control room. 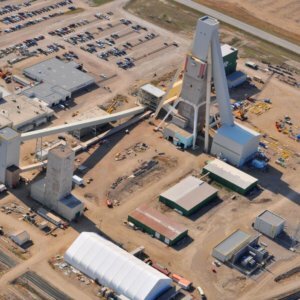 Westwood was contracted by Stantec to supply labour, supervision and materials for the completion of the electrical works at the Headframe & Hoist House at the PCS Allan Mine. 25kV and 15kV Surface to U/G Feeders. 25kV and 15kV Unit Substations. 25kV GIS Substation complete with cables and terminations. Various 4160V and 600V equipment. Ore Storage and Surge bins. 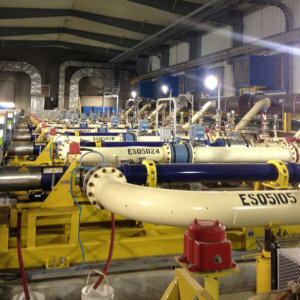 Various stages of this project were completed with 24 hr coverage and multiple shift types to meet project milestones. Pre-commissioning and start-up assistance were provided by Westwood. Westwood was contracted to supply and install the building services to the upper floors of the Scissors Creek head frame building, in advance of the installation of the Electrical Hoisting Equipment. This included the supply and installation of the vertical riser cable tray and 3c 500 MCM 1KV vertical riser TECK cable feeders to the owner supplied and Westwood installed five section 600 volt MCC 02. Supply and installation of cable trays at each of the equipment, deflection and sinking floors, collar floor and hoist floor. Supply, install, cable and connect the building services equipment such as welding outlets, lighting transformer and panel, lighting, receptacles, supply and exhaust air fans and unit heaters. Supply and install the lightning protection system and obstruction lighting to the roof of the Head Frame building.